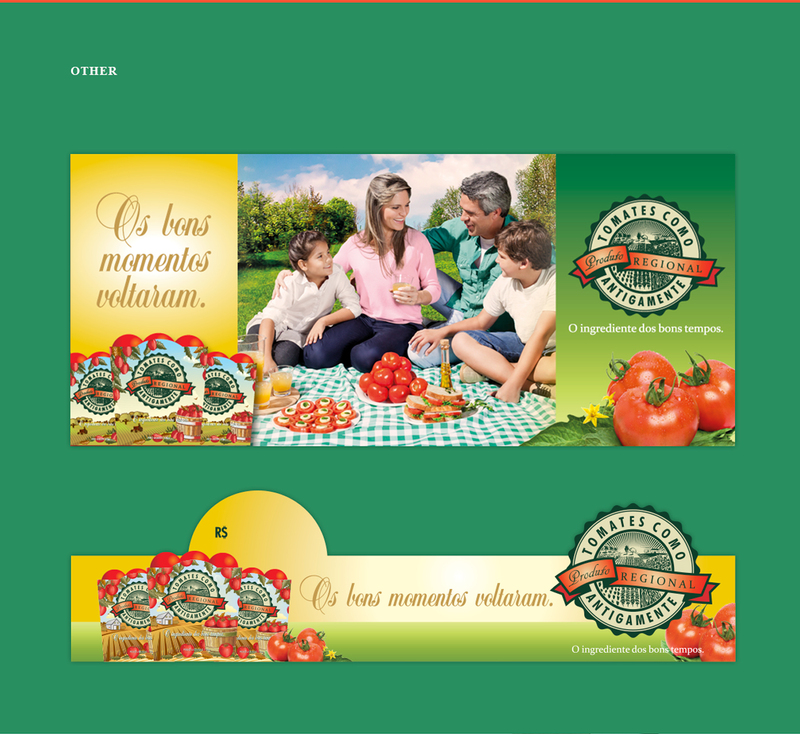 Branding, tomatoe trays packaging design and point of sale material for Tomates Como Antigamente. 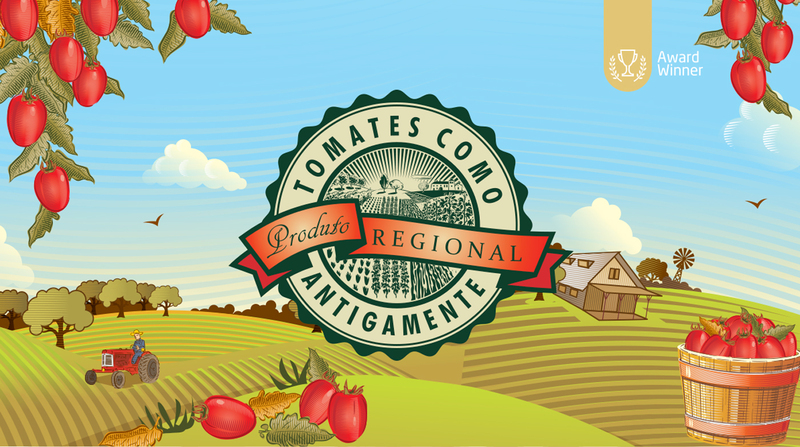 Tomates Como Antigamente are locally grown tomatoes, making them tastier, fresher and more vibrant compared to others. 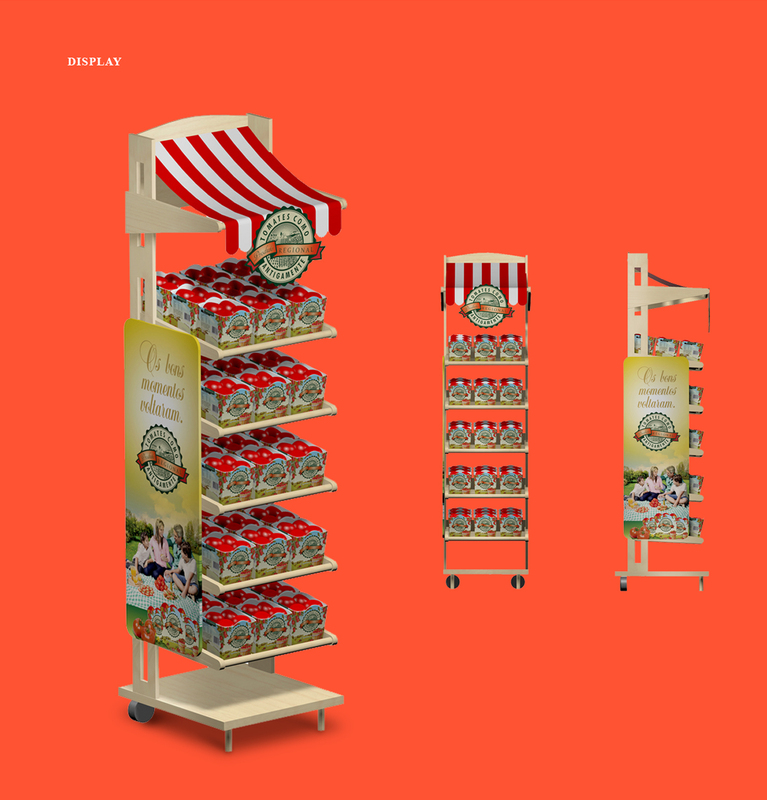 The concept of the project was to bring back childhood memories, family´s dinners, grandma’s food and sunday’s picnics. 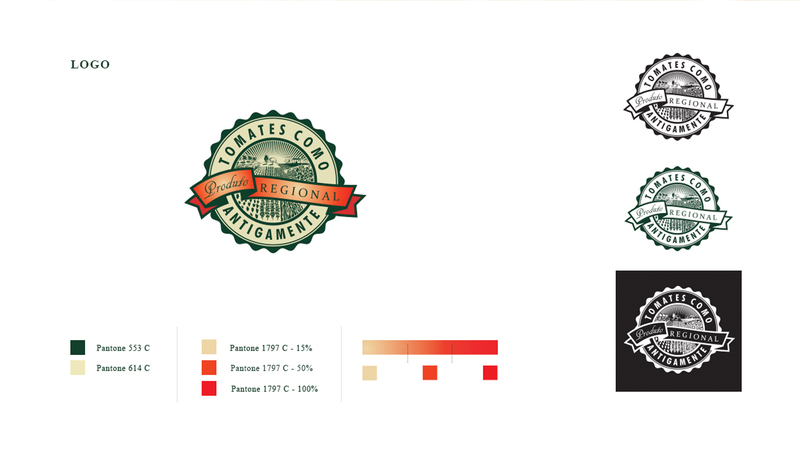 As a result, we developed a vintage/gourmet style, aiming for the slow food market. The package structure consists of a 4 color printed cardbox inside a net or a flow-pack film. 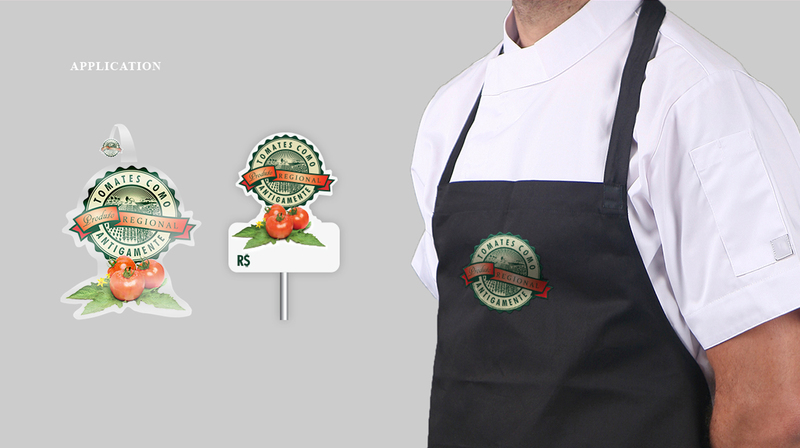 As a gift, the package comes with a seed paper tag, with spices and seasons, such as basil, oregano, and so on, to match with different tomatoe recipes. Consumers may reuse the package to plant the paper seed, making a tiny kitchen garden. The package received the ABRE’s packaging award. 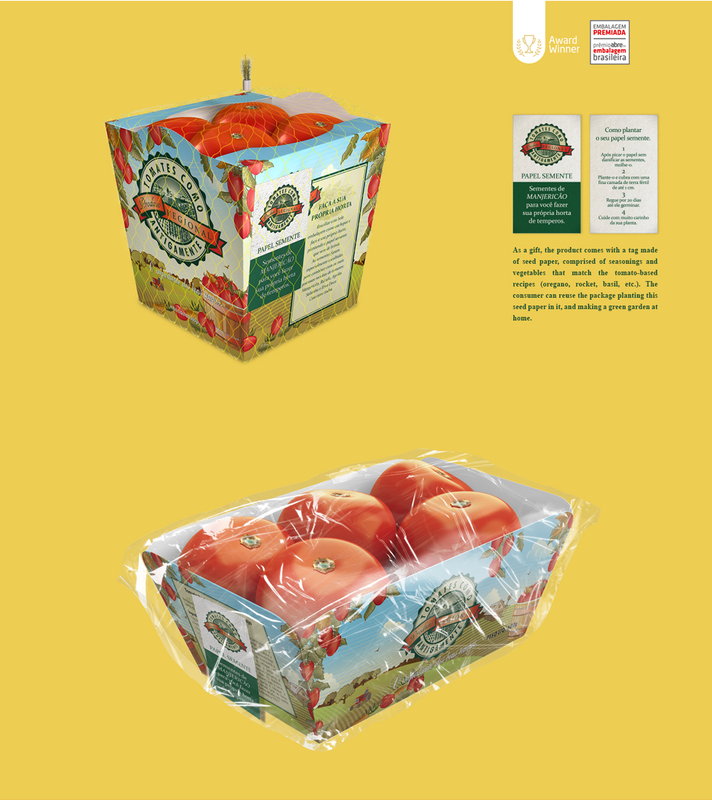 See our ecological and sustainable packaging design for small fruits developed forTrebeschi´s Tomates Duo.